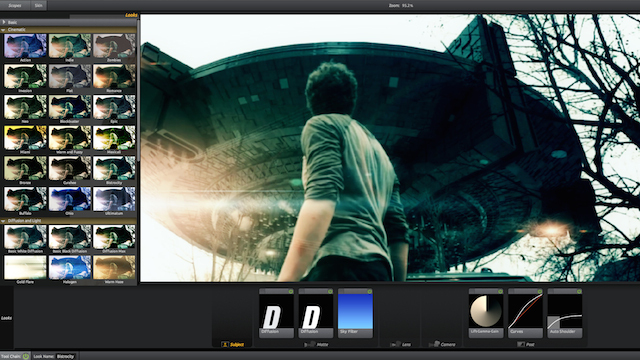 Red Giant has unveiled Magic Bullet Looks version 2.5. It will be a free update for current users and adds new color correction tools, better previewing of presets and gets a speed boost thanks to GPU Acceleration. Red Giant rebuilt Magic Bullet Looks from scratch using a lot of the know-how from its recent released Universe launch. The newly-coded Magic Bullet Looks 2.5 paves the way for future enhancements with greater ease of implementation. Speed increases of up to 95% on Windows® and more than 25% on Mac®. Improved Looks Previewing: allows users to hover over Looks to preview the results. Strength Slider: control the overall strength of your entire Look with an easy-to-use, key-framable slider. LUT Tool: allows users to import .cube LUTs as well as 12 new LUT presets. S-Curve Tool: makes it easy to add contrast without losing detail. Better Custom Looks Management: makes it easier to share your Looks with other editors. Red Giant says Magic Bullet Looks 2.5 will be available sometime in Q2 2014. You will find additional info as it becomes available here on Red Giant’s website.